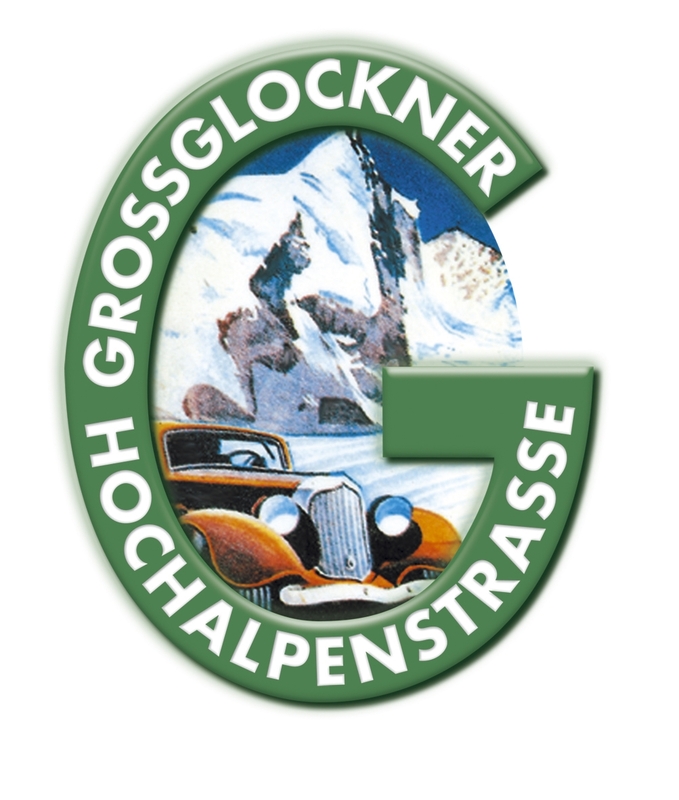 on Tuesday, December 2nd, 2014 from 6:30 p.m. to 9:00 p.m.
Or mail payment to: U.S. Austrian Chamber of Commerce, Inc.
A special THANK YOU to our EACC Fall Premium Sponsor! 230 5th on June, 23rd 2014. 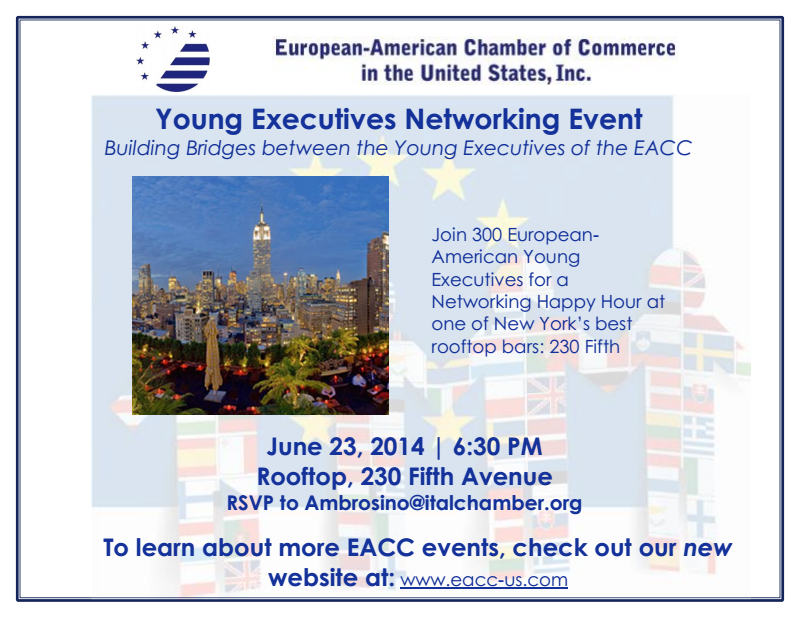 Please RSVP to our colleague from the Italian Chamber of Commerce Salvatore Ambrosino (ambrosino@italchamber.org). 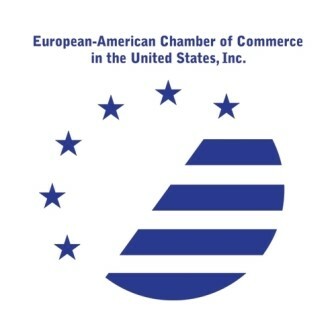 We would be happy if you could join the upcoming European Chamber of Commerce Event on June 19th, 2014. 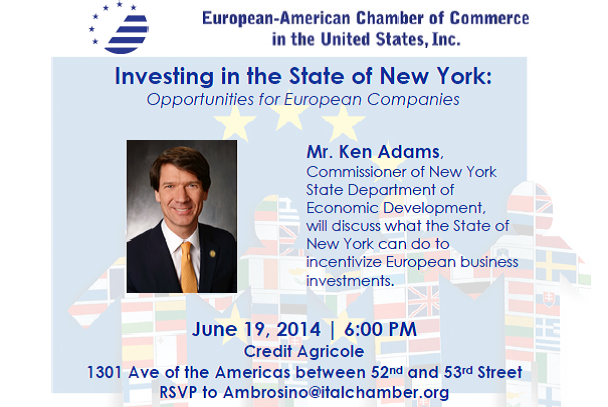 Ken Adams, Commissioner of New York State Department of Economic Development, will talk about what the State of New York can do to incentivize European business investments. 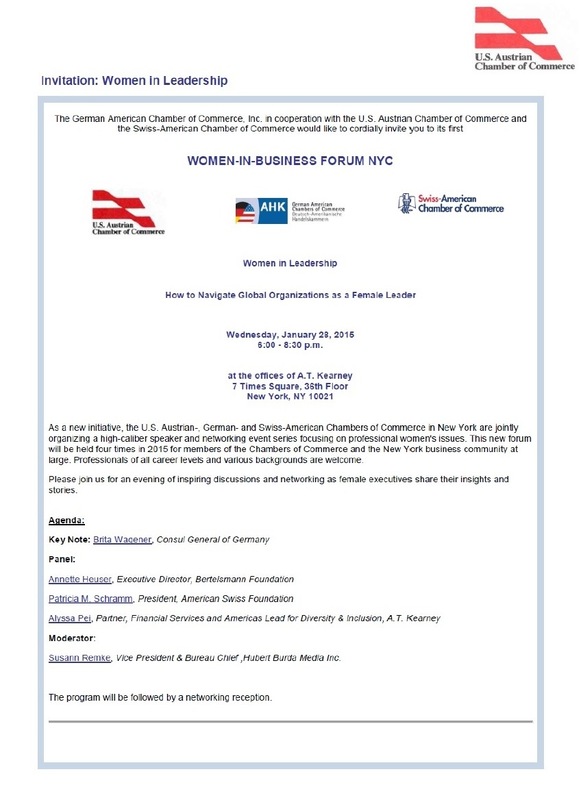 Please see the invitation below and RSVP to ambrosino@italchamber.org as this very interesting event is free of charge and space is limited.